Information about the Environmental Health Department Urban Biology Division's Mosquito Control Program, Obtaining Mosquitofish, Mosquito Surveillance, and Mosquito-borne Disease. 311 takes requests for mosquito control from Albuquerque and Bernalillo County residents. Allowing conditions favorable to mosquito breeding is prohibited under state and local ordinance; standing water must be prevented, drained or treated to ensure that mosquitoes are not breeding. Remember, drain and cover open containers! Mosquitoes breed in shallow, stagnant water such as ponding areas, swimming pools that are not maintained, empty containers holding water, etc. Properties in violation of these laws, or other areas of standing water should be reported so that vector control technicians can enforce compliance and abate mosquito breeding. To register for the no-spray list, call 311. Residents who don't want their property sprayed can register for the No-Spray List. A 1000-foot buffer is maintained around the property as a no-spray area. This list is specifically maintained as part of the mosquito control program; other pesticides may be applied in the area by different agencies for different purposes. Mosquitofish eat mosquito larvae as part of their typical diet. Mosquitofish can be used in ditches, ornamental ponds, bird baths, watering troughs or retention ponds to control mosquito breeding. Most efficient when they are placed in permanent structures where they can survive from season to season. Distribution by the City of Albuquerque is typically from June through September. Mosquitofish are distributed for free at designated distribution centers. Call ahead to make sure the distributor near you has mosquitofish in stock. Have you seen these in or around your neighborhood? 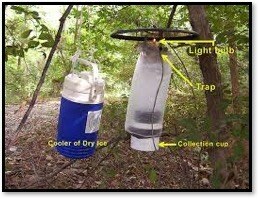 No need for alarm, these are mosquito traps used in the mosquito surveillance and disease testing program. WNV is most commonly transmitted to humans through the bite of a mosquito (Culex quinquefasciatus and Culex tarsalis). WNV is established as a seasonal epidemic in North America that flares up in the summer and continues into fall. In the southern climates where temperatures are milder, West Nile virus can be transmitted year-round. *Individuals over 60 years old or those who are already immunocompromised are at greater risk for sever symptoms. The City of Albuquerque has a joint program with Bernalillo County for mosquito control. Call 311 to report high mosquito population areas and standing water or to request a spray of your neighborhood. Use insect repellents containing DEET when outdoors. Always follow the direction on the product. Avoid outdoor activities during dusk and dawn when mosquitoes are most active. Empty standing water containers on a regular basis, even pet dishes and bird baths, remember the phrase: drain and cover! Zika virus is most commonly spread through the bite of a mosquito. The mosquitoes responsible for transmission, Aedes aegypti and Aedes albopictus, are NOT found in Bernalillo County. 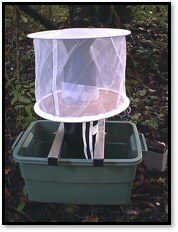 The Urban Biology division performs active surveillance and watches for these mosquitoes. Mosquitoes that carry Zika are active during the day; not just dusk and dawn. Use insect repellents containing DEET when outdoors. Always follow the direction on the product. Dirofilaria immitis, the dog heartworm is a parasitic roundworm that invades the heart and lungs of its host. Although uncommon; cats can also become infested. Visit your veterinarian and have your dog tested. Dogs should be on heartworm prevention medication year-round.